We are sure that you’ve read, heard or talked about analytics at some point in the past year or two. It’s a hot topic. But the context of how it’s referred is anything but consistent. The world of business analytics may seem like deep, open waters, but it would make it easier to fashion things into workable loads. All three business analytics can be tremendously useful in assisting in your decision making, but the decisions you are seeking to make are vastly different. In a Capital Ex scenario, you as a business owner are looking at some infrastructure changes. Perhaps you’re weighing route options for your new pipeline, or maybe you’re building a new warehouse, or structure. Multiple data points are required along with deep knowledge and expertise to find the best scenario. Once all of the calculations are preformed, you know where to place your pipeline or build your building. Problem solved. This has changed the world not only for online marketers but also for the marketing profession as a whole. It provides valuable information about the visitors to your website, where they are coming from, how they navigate your website and essentially what messages is resonating with them, allowing marketers to make quick adjustments anywhere—from the website to the overall marketing platform. There are lots of Web Analytics tools available but there’s no big surprise that Google Analytics dominates the field. Where our passion and strong value proposition lies is in Operational Analytics. We mine and gather information flowing into your business right now and turn it into insights. This is done by aggregating all of the real-time information you have in various data sources (internal or external). We use Predictive Analytics techniques with this data to show where your operations are heading in the near future. This shows up right on your dashboard, and this enables you to make evidence-based decisions to improve any aspect of your business. Further more, it provides you with a huge competitive advantage, enabling you to you lead your industry. 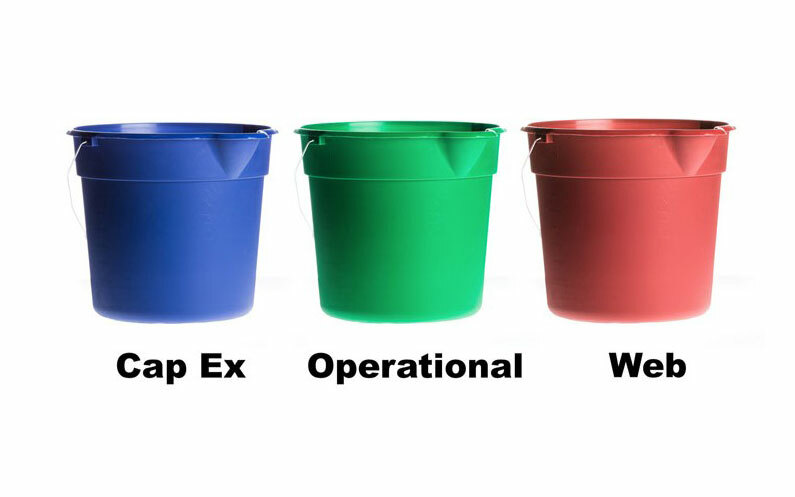 So which bucket does your analytics challenge fit into? Asking yourself this question will go a long way to simplifying what your research (and your solution) might look like. And if you need any help figuring it out, drop us a line.